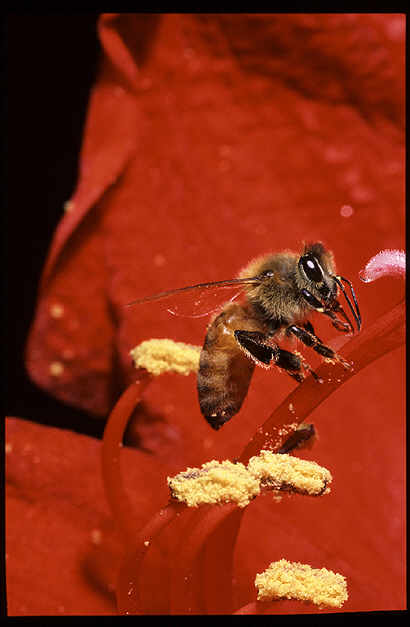 When people look at a bee or hear its buzzing, do they taste the sweet blessing of its honey? Similarly Imam Ali teaches that no one appreciates the value of what is inside you by simply talking and being physically close, rather the sweetness of this honey blesses when the man is alone doing something good or feeling something beautiful within his heart! Likened to a bee, which only when alone, concealed within the hive, the blessing of its honey leaves its physicality and is suitable for others to consume and to benefit from, even long after the bee is gone. Eat from the goodness of all things and let it leave you as goodness for humanity! Eat from the goodness of all things and plunder not! Be the bee that devours the nectar of a blossom and leaves it as it found it. Be useful to all things around you, be it a bush or a bird or another human being. Examine your affairs, if you find one that has the potential for causing any harm, cease and desist. “The example of Bilal is that of a bee, whether it ate the sweet or the bitter, it is entirely sweet (its honey)” admired the Prophet. Whether Allah decreed for you the sweetness of destiny or the bitterness inevitable, digest everything into a honey for all around you, those you see and those you cannot and those who come after you. Does the bee choose who devours its honey? Then don’t let your compassion be selective. Do you want me my love to tell you why that special somebody broke your heart and left your forsaken forever? For you forsake the Dhikr (Remembrance) of Allah, indeed Allah is for you as you feel for Allah! Would you inform your Self, where you shall be resurrected? Your next eternal genesis shall be amongst those whom you loved, alongside your current beloved! Who is your beloved? Are you sure Hu is your Beloved? I dreamt -- marvelous error!